The iPhone changed everything in 2007, but mobile developers are just now coming to grips with new technological approaches that fully realize the potential of modern mobility, such as online/offline functionality and efficient data transfer. That's the gist of a message being conveyed by Wayne Carter, chief architect of mobile at Couchbase Inc., a NoSQL database specialist. The company today released Couchbase Mobile 1.1, the first big update of its three-component mobile-centric development platform that was introduced in May 2014. "The idea behind Couchbase Mobile was to make it easy for developers to build apps that work both online and offline, but also to manage data transfer more efficiently between the device and the cloud," Carter told ADT Mag in an interview. "By doing all of this, they produce applications that have a really great experience compared to traditional development or REST-based approaches." Even after the iPhone became mainstream, many developers continued to follow the traditional approach of building apps that required a network connection, using a service architecture. But modern mobility demands more. Following the iPhone-inspired tectonic shift in development away from laptop/desktop targets to handheld devices, we're now early on in another transformation, Carter said. This is a movement away from always having to be connected. Carter said Couchbase recognized this last year and has been spreading the word, hitting the conferences, giving the presentations, publishing the webinars in direct response to questions raised in community forums and so on. "One of the biggest things we've been doing is driving developer adoption and education on this new way of building," Carter said. "And it's an alternative to traditional service-based development. And that's what mobile developers have been taught for the last 10, 15 years." But they're catching on. Educating developers about the benefits of the alternative approach of using an embedded NoSQL database on devices was meant to drive adoption of Couchbase Mobile in the developer community, and Carter said it has worked. Just last month the company hit a milestone, counting more than 100,000 developers actively using the product, with half the growth coming in just the last three months. The company has also seen a growing maturity among its targeted developer community, with fewer questions about the new approach itself and more questions about how they can best use it, with many requests for expert advice. Major enterprise customers/partners such as GE have certainly come around. Carter noted that GE's Michael Hart related how, "for them, offline-first is the new mobile-first." "I think he's actually right," said Carter, who noted, "we're seeing a lot of developers thinking this way." For those developers, comes Couchbase Mobile 1.1. It consists of three components: Couchbase Lite, the embedded NoSQL database running on the device; Couchbase Server, the full-featured enterprise NoSQL database running in the cloud, which was updated last October; and Couchbase Sync Gateway, which securely synchronizes data between the two. 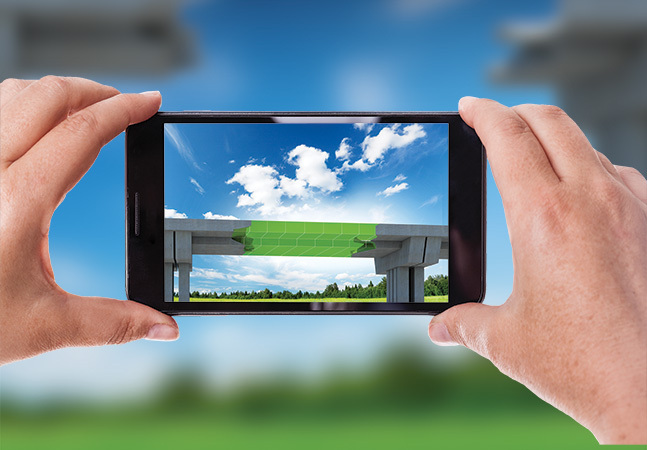 The system lets users work with apps online or offline, storing, changing and deleting data on the fly and synchronizing the changes when connected. 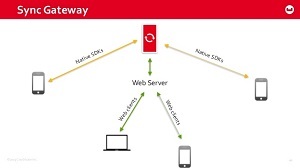 In Couchbase Mobile 1.1, the company introduced a preview version of its next-generation ForestDB database, designed for performance improvements and for working better with modern storage devices such as solid-state drives (SSDs). The new release also adds new change notifications via the "web hook" approach, wherein changes to stored data in the system are automatically conveyed to other parts. This obviates the traditional approach of using a continuous polling system to detect changes to data and propagate them. "Now, when data is changed in either database, external services and systems are notified and can run the appropriate application logic," the company said in a news release. "This important functionality saves developers significant time by reducing the amount of code they need to write to maintain data integrity in both the cloud and the device, which helps them get their applications to market faster." 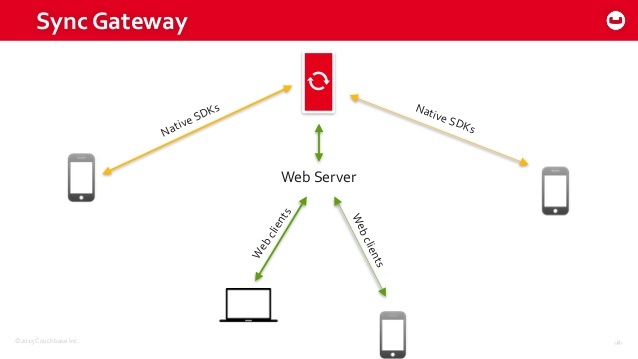 Over the past year, the company also has expanded the scope of Couchbase Mobile from its roots targeting iOS and Android OSes only, so it now works with all the major platforms, including Linux and Windows. All the variations are available on the download page.